Exploring the new sound innovation, InCube Arts presents the inToAsia: Time-based Art Festival – MicroCities. 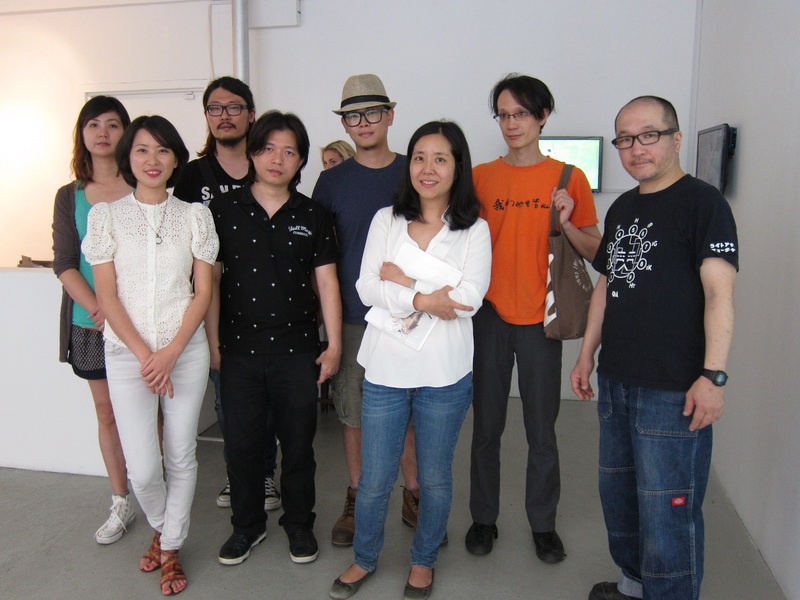 From July 27th to August 31st, the festival will introduce new forms of video and sound art by Asian artists through the means of two exhibitions, a screening and a sound performance. 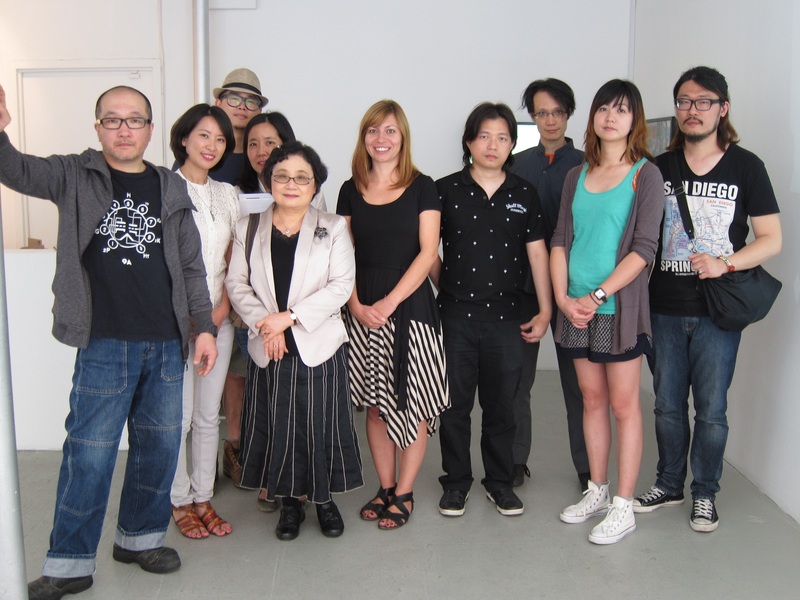 On August 7th, 2013, InCube Arts held a press conference in Stephan Stoyanov Gallery located in Chinatown to introduce some pieces created by different Asian artists all over the world. 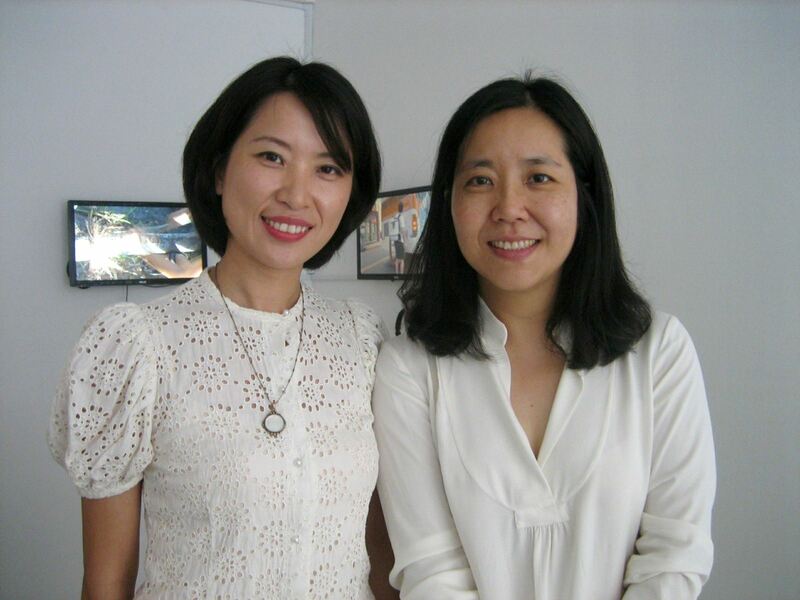 Introducing the gallery, the curators, Joanne Chen and Josiane Lai, explained that their purpose in this festival was to promote the talent of many hidden Asian modern artists in the field of film and different forms of art. They felt that these artists were underexposed and deserved recognition for the work they have created. In the tightly compacted Stephan Stoyanov Gallery, there were 12 pieces for show. One of the pieces shown was “Chim Pom”, a clip of people huddled together staying positive after the devastating natural disaster that happened in Japan. Another piece was by Wan-Jen Chen called “You Are My Only Exception,” a casual beach scene, but when looked closely, there are a lot of absurdities. There were the “exceptions,” for example one of the “exceptions” was how you could see five of the same red shirted boy running across the screen. Other video projects like “Animism Anamorphosis” by Yu-Cheng Chou, “To Let” by Junebum Park, “The Doors” by Chilai Howard Cheng, “Everything’s OK” by Tin Tin Wu Lia, “Documentary I-Pig Five Flower” by Chang-Jung Wu, and “Rubbing the City: Beautiful Dirty Bubble” by Kuangyu Tsui were all shown in this exhibition. 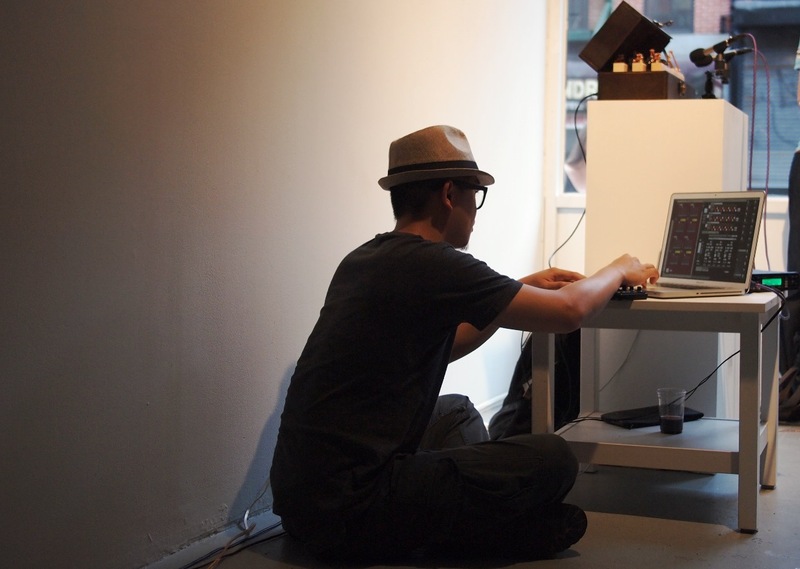 Aside from the presented video works, there were also two sound-making masterpieces showcased at Exhibition I. Chung-kun Wang explained his own work of art called “Sound.Of.Suitcase,” inspired by the church organ, Chung-kun Wang was able to put together a musical device within a small compacted box. This flute-sounding instrument is both motion censored and computer responsive. 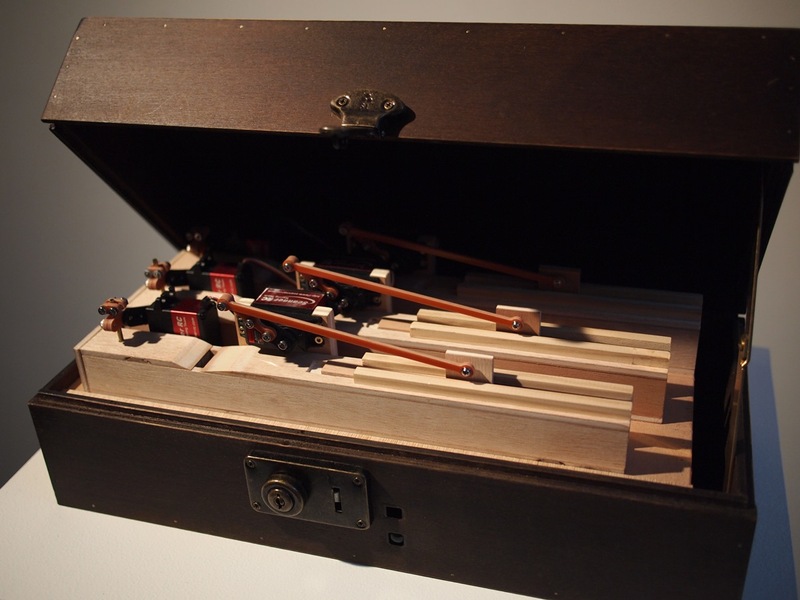 Chung-kun Wang created this as an idea to be able to carry music wherever one may go. 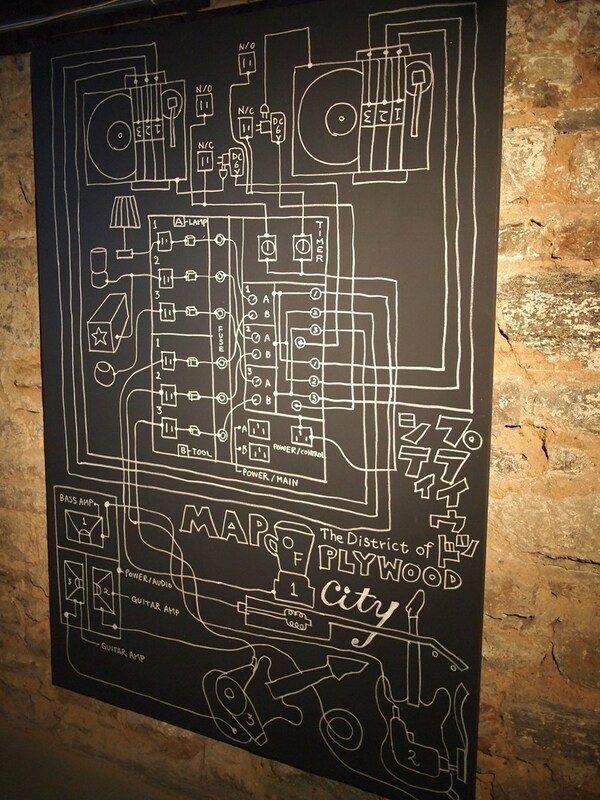 A Japanese artist, UJino, made the device called “The District of Plywood City.” Using popular home compliances, UJino was able to create a noise making system that uses a motor, a blender, and hairdryer to operate all movement. These power devices trigger other parts of this machine to work, therefore, creating noise. 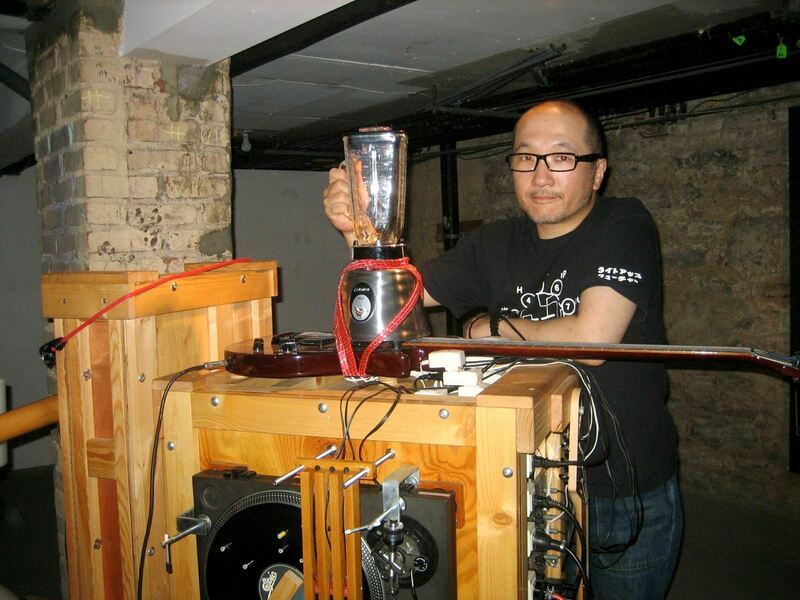 With the addition of electric guitars and old music disks, Ujino attempts to make a machine that is able to create an interesting beat. This work of art also demonstrated the modern world of consumption and technological reliance. All work shown in this gallery shared symbolic to the contemporary world of modern consumerism, which was a point that was heavily stressed at the press conference. Using Junebum Park’s piece, “To Let”, it announced the idea of the rapid growth of commercial within the cities. Make sure to visit these exhibits to experience each artist’s message personally. To find out more information about the Time-based Art Festival and its events, please go to www.incube-arts.org.